Helicobacter Pylori, the nasty little bacterium, digs into your stomach lining and causes various unpleasant symptoms. Helicobacter Pylori also known as h. pylori is a very common problem. I have seen estimates varying from half to two-thirds of the world population of having it. For many of them it does not cause symptoms. Do you experience pain in your abdomen? Frequent burping, nausea etc? Those could be signs of h. pylori infection. I had h. pylori. I had a terrible pain in my stomach, right below the left rib cage. Sometimes spreading throughout the abdomen. The pain would come and go. It was worse when I had an empty stomach or if I ate certain foods like tomatoes. 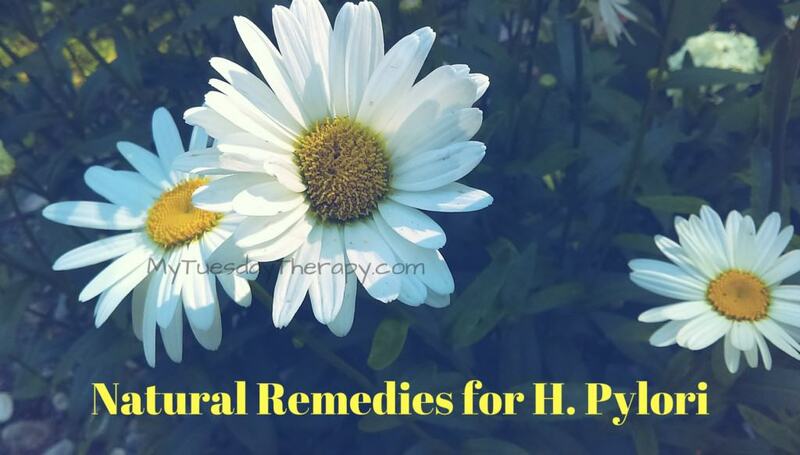 My doctor recommended me some natural remedies to get rid of h. pylori. I’ll talk about them in a minute but first some basics about h.pylori. This post contains affiliate links. If you choose to purchase via my links, I’ll get a small commission at no extra charge to you. Thank you :). H. pylori is a bacterium usually found in the stomach. Its spiral-shape makes it easy for it to attack your stomach lining. It is the main cause of stomach and small intestine ulcers. And it can also cause gastritis, an inflammation of the stomach. H. pylori tends to overgrow when a person has a low stomach acid. And it also changes the environment to better accommodate its survival by further lowering the acid levels. It is not exactly known how one gets it. But it could possibly be passed from person to person via saliva, or coming into contact of infected vomit or feces. It can also spread via contaminated water or food. Chronic stress plays a part in h. pylori overgrowth. I suffered from adrenal fatigue – the stress syndrome and had a low stomach acid. As for all the other ailments, there are many options to choose from. I used what my naturopathic MD recommended to me. I took 10 drops three times a day. I got this one from my doctor but it can also be bought online from iPlanetHealth but you will need a consultation. This is another excellent product. I used it with the above mentioned H. Pylori remedy but this can be taken by itself too. I took it in empty stomach: 2 when I woke up and 2 in the mid-afternoon. Mastica Gum is a very effective natural remedy for h. Pylori infection. Mastica Chios Gum is the resinous material from Pistacia Lentiscus Tree. 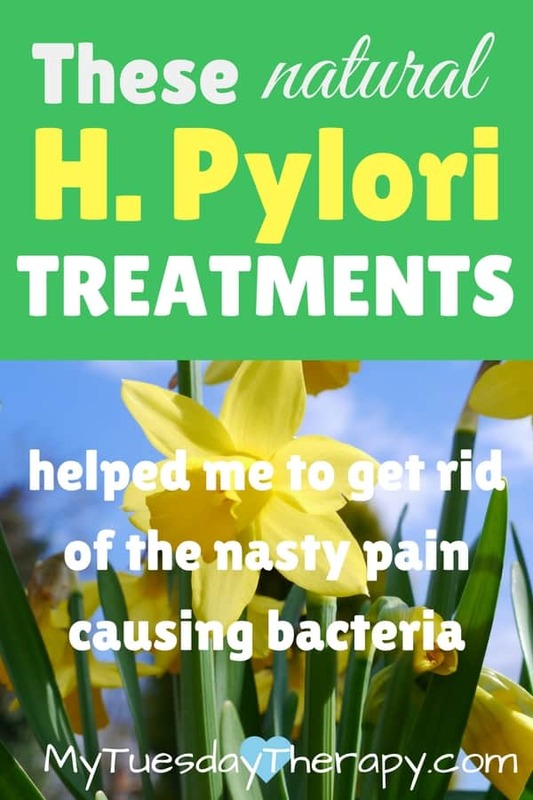 Good quality probiotics were really helpful in getting rid of h. pylori. The more good bacteria you have the less space you have for bad bacteria. Green tea has been shown to inhibit the growth of helicobacteria. Studies have indicated that green tea can be used to prevent and treat gastritis caused by h. pylori. So, enjoy a cup or two of this delicious beverage cold or hot. I usually buy organic green tea from iHerb.com, fast shipping, great prices. If you use the promo code LAB515, you’ll get a discount on your orders. Another excellent anti-bacterial food is Manuka Honey. All types of (raw) honey are great at fighting against bacteria but Manuka honey has shown to be even better. 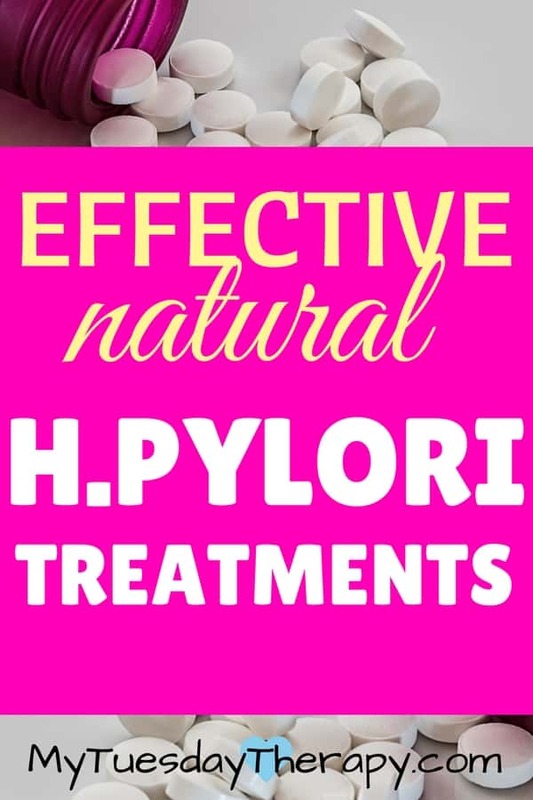 Manuka honey has natural hydrogen peroxide in it which makes it very effective against h. Pylori. Spicy foods can make the h. pylori symptoms worse. Tomatoes and tomato products can increase the abdominal pain. I couldn’t consume them without experiencing pain. Pickled foods make things worse. I noticed that it was best for me to avoid commercially pickled foods. They increased the severity of the H. pylori infection symptoms. 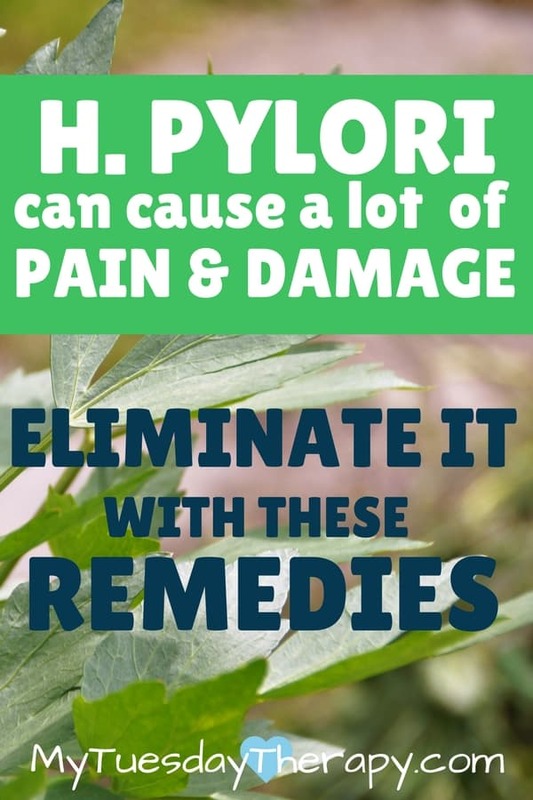 To avoid or to get rid off h. pylori you should, of course, aim for a good overall health. Boost your immune system with these 4 Immune System Boosting Supplements and by implementing these 7 Ways to Improve Your Immune System. Avoid chronic stress. Try to remove stressors (poor eating habits, lack of sleep, etc.) from your life and learn some effective Breathing Techniques to Relieve Stress. Tired of Being Tired? Nutrients Your Body Needs. Block, Will. Mastic Kills the Bugs that Cause Gastritis and Ulcers Ancient Mediterranean gum resin finds scientific validation in modern times. Stoicov C, Saffari R, Houghton J. Green tea inhibits Helicobacter growth in vivo and in vitro. 2009.